We are big fans of home remedies that don’t require a trip to the store – or at least those that we can make ourselves from safe, natural ingredients. Not only is there great satisfaction in making something, but it can be easier on the home budget than resorting to store-bought products. So when it comes to keeping your home smelling fresh, it’s no surprise that we love our homemade natural air freshener remedies. But don’t get us wrong, we get it. Sometimes there just isn’t time in the day for a natural DIY solution. Many of the daily choices we make are a matter of convenience. But convenience doesn’t have to mean compromise when it comes your commitment to using safe, all-natural products. So for when convenience is of the essence and natural is your goal, just look for the NAR Editor’s Choice seal. Without further ado, here are the best natural air freshener brands on the market today – and where you can get them. Our homes are more polluted than we would like to admit. With better insulation comes lower air conditioning bills and more efficient heating, but also less fresh air to circulate and revive our indoor atmosphere. Add in the many sources of chemical agents from the various home products we use and you have a recipe for indoor air pollution. 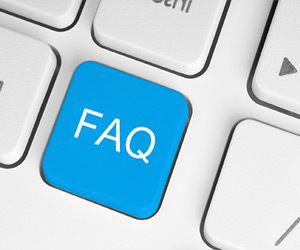 So when it comes to the many choices you have for air freshener brands, we want to make the choice as simple as possible. If you just can’t get away from that spray bottle, here are our favorite natural air freshening sprays on the market today. Essence of Vali Botanical Mists are marketed as air fresheners, linen sprays, and even light body sprays. When the company claims that their spray is “100% natural, 100% vegan,” they mean it. Each scent blend consists of only distilled water and pure essential oils. That’s it. If you’re thinking that sounds simple enough to make yourself, you’d be right. In fact, one on of our favorite DIY recipes starts there (then we add a little alcohol to help disperse the oils). But what we like about these botanical mists is that they come in great essential oil blends, which at about $8.50 for a 2-ounce bottle, they would be difficult to recreate if you’re not already an essential oil user with a great collection. We love the citrusy smell of the Refresh Energy Mist, which combines orange, lemon, and grapefruit essential oils for an uplifting and refreshing scent. These scents also happen to top the list of scents that smell good to nearly everyone. Who knows, maybe it’ll help kick start that spring cleaning you’ve been putting off! The Aura Cacia brand has become a favorite among essential oil users, and is now a staple in the Whole Foods aromatherapy aisle (and who doesn’t love perusing the tester bottles for a little scent action while shopping?). While the brand is known for their sustainably sourced essential oils, they also have small line of air freshening sprays that expertly combine nothing but water and their essential oils for really refreshing and surprisingly complex scents. Their larger line of blended aromatherapy mists come in smaller sizes and are also safe for use as body spray. To freshen a room, we like the Lime and Grapefruit Spritz, but when we’re looking for a calming room and body mist we love the Lavender Aromatherapy Mist (it also happens to be one of their most highly rated). We’re big fans of many of the Eco-Me home products, particularly because the brand is dedicated to disclosing all ingredients and providing material safety data sheets (MSDS) to consumers. Oversharing is not a problem when you have nothing to hide! So when we came across their line of spray air fresheners, we were especially excited. Using a water base, these air fresheners provide their chemical-free scent with essential oils. Their short list of natural ingredients include vitamin infusions like Vitamins B and C. While we’re not sure where the research stands on the effectiveness of vitamins sprayed into the air, we can’t help but think that they can’t hurt. Looking for a pick-me-up scent? We went for the Mint, which combines peppermint essential oil with lemongrass. Both essential oils have antibacterial and antiviral properties as well, making them especially effective for smells associated with bacteria. While natural air freshener sprays are a convenient way to lightly scent a room, they don’t do much in the way of fighting the source of odor. People with asthma should also be especially careful when using anything that is dispersed into the air as a spray or aerosol as it can aggravate or trigger symptoms. Here are our two favorite natural odor neutralizers and spray alternatives. A big name in natural pest control and repellents, earthkind also has a line of air freshener pouches. The real trick with these pouches is that they not only impart a subtle, natural scent, but also work to absorb odor and excess water in the air to control even those hard to treat musty smells. The air freshening pouches use corn cob chips, volcanic ash, and essential oils to do the dirty work for you. To top it off, the pouches are all made from eco-friendly, biodegradable ingredients and packaging. You can hang the 2-ounce pouch (about the size of a fist) in a closet or the car or you can place it under a couch or chair to freshen a room out of sight. While we love the descriptions of all four of their scents, the company website states that they sell their Fresh Adventure scent in bulk for hockey locker rooms. We’re sold. Last, but not least, we have Moso Natural, perhaps one of the best-selling natural air freshening pouches – and for good reason. The Moso Bag is filled with only one ingredient: biodegradable bamboo charcoal. Bamboo charcoal is known not only for its ability to purify water and aid in digestion, but for its effectiveness in purifying air, meaning that it not only traps odors but rids the surrounding air of allergens and pollutants. That’s double duty air freshening and purifying power. Unlike the other products on our best air freshener brands list, the Moso Bag is completely fragrance free and can be reused for up to two years (then recycled in your garden!). But perhaps it’s strongest selling point is simply that it works. The Moso Bag comes in three sizes. We like the 200 gram bag for smaller spaces like closets and the car and the 500 gram bag for the basement and larger rooms. We haven’t tried the mini bag yet, but it might be time to test it out on that one particularly smelly pair of shoes. Marketers have learned the selling power of slapping an “all-natural” label on just about anything. They also know the power of eco-friendly packaging and words like aromatherapy and essential oil. But as conscientious consumers, we know that “natural” doesn’t always mean better or safe. When it comes to the air freshener brands you choose, the most important place to look is the ingredient list. Be on the lookout for chemical ingredients you don’t recognize and be sure to be weary of the word “fragrance.” As we know from our previous research (which prompted us to re-think our store-bought air freshener use in the first place), companies can lump just about anything under the fragrance classification. And while you’re at it, try to stay away from the aerosol sprays and paraffin wax candles. The more we can do to keep our air clean, the healthier we will all be. To learn more about those suspect store-bought air fresheners that didn’t make our list, check out our article, Why It’s Time to Ditch Those Toxic Store-Bought Air Fresheners. 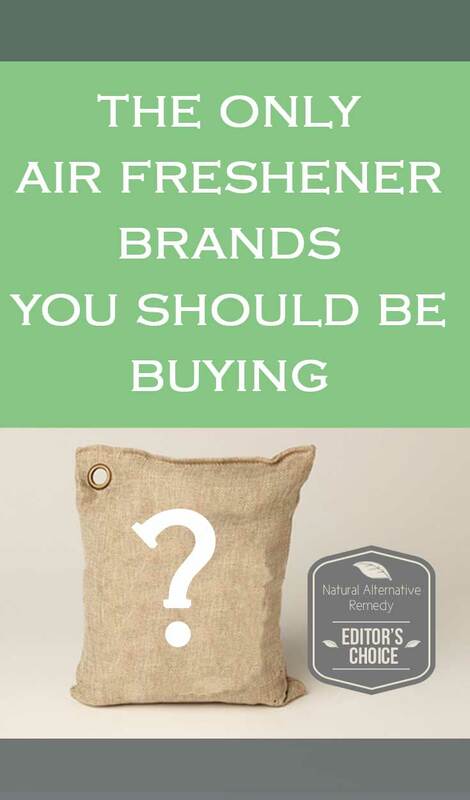 Do you have a favorite natural air freshener brand? Share in the comments below or shoot us note on our Contact Us page. We’d love to hear from you!